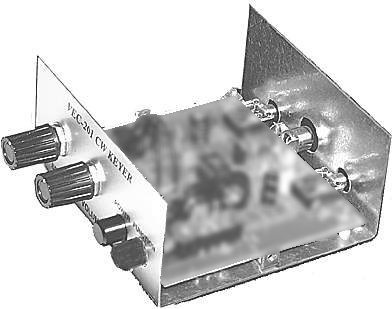 All-metal cabinet for CW Keyer. Knobs, hardware and rubber feet. Brushed aluminum-looking front decal.